SSDA USA is here with the answers to 3 common questions about social security disability benefits. 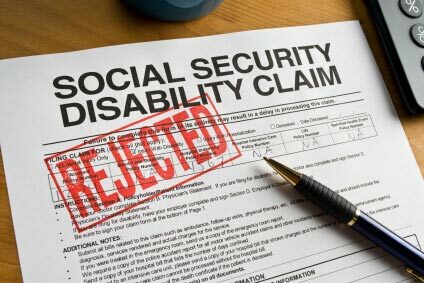 Filing a claim for social security disability benefits is a complex process. There are many reasons why you may be eligible for compensation or social security disability benefits, but they may not always be easy to identify. Many applicants also make mistakes that can prevent approval. Each year, millions of people receive social security benefits, and if you have a qualifying disability, you may be eligible for benefits. Disability insurance is particularly important. According to the U.S. Social Security Administration, there are more than 10.9 million people and 8.8 million workers in the disability insurance program. If injured or disabled and also looking to claim disability benefits, we can help. At Social Security Disability Advocates, we will help you find someone to assist with your application process for disability benefits. Please complete the contact form, and we will connect you with a Social Security representative in your area who may be able to assist. Disability Secrets says that the Social Security Administration (SSA) defines “disability” as an impairment that prevents you from performing substantial gainful activities. These impairments can be physical, psychological, neurological, or otherwise medical in nature. At the same time, these impairments must have prevented you from doing substantial gainful activities for at least 12 months. The SSA may also classify you as disabled if your impairment will likely result in your death. According to Disability Secrets, the durational requirement is important as it prevent you from filing claims for less severe injuries such as wrist sprains. Substantial gainful activity is often difficult to pinpoint, but it currently means you are able to work and earn more than $1,220 per month. For self-employed people or those who do contract work, the SSA uses other means to establish substantial gainful activity limits. This is a common question that many prospective applicants ask. The key difference between Supplemental Security Income (SSI) and Social Security Disability (SSDI) is that SSDI exists for employees who have earned a particular number of work credits. SSI disability benefits, on the other hand, exist for low-income earners who do not generate enough money to be eligible for SSDI or who have never worked. These are two totally separate governmental programs, and it is important to remember this when researching social security disability benefits. SSDI sends your claim to a state agency, often called Disability Determination Services (DDS). DDS will determine how much you work and if your disability affects it. If you are doing a certain minimum amount of work, you will not be eligible for benefits. Applying for social security benefits is a complex process. An expert can help you file your claim in a way that gives you the best chance of succeeding. At Social Security Disability Advocates, we can connect you with an expert in your area. So, to get started, please complete the contact form. Additionally, you can call us anytime at 602-952-3200 or use our online LiveChat feature. Consultations are free, so don’t wait, and contact an advocate today!